Essential oils pack enormous wellness potential into a remarkably small bottle. This natural power is created by careful extraction of plant constituents from large amounts of botanicals – leaves, bark, seeds, petals and peels of plants. It takes 50 pounds of Geranium leaves, for instance, to extract just one pound of Geranium essential oil. This kind of concentration gives you access to and control over the natural constituents you apply to your skin … but due to this extraordinary power, it is important to control it. Your skin is both a barrier and a doorway. It absorbs essential oil directly into your body and allows you to gain access to the health benefits these products offer. But skin can’t always handle the high concentrations essential oils pack. You may run into problems like skin irritation, phototoxicity (citrus oils reacting to sunlight and causing blisters), and topical allergies. To use essential oils safely and effectively, it is necessary to dilute them. Diluting is good news for both you and your skin. Adding essential oil to a neutral carrier oil makes it easier to spread the valuable essential oil over large areas, and more efficiently carries the aromatherapy benefits to your body. Plus, your little bottle will last way longer than you might expect since you are using the equivalent of just one drop or less with every application. 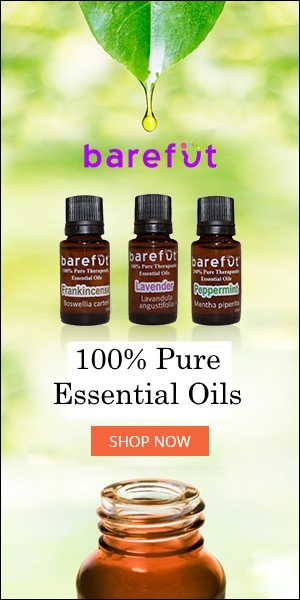 There are some instances when it is advisable to use essential oils neat (at full potency) – such as in a diffuser, through an inhaler, or for some cleaning applications. But all topical use requires dilution. Many Sacred Life products are sold pre-diluted so that you don’t have to worry about diluting at all (this includes all of our ready-to-apply roll-ons). But some of our singles and blends are sold at full strength. These products are potent and require dilution before using them on your skin. We recommend a 3% dilution for most topical purposes (see below for how to do the math on that). Some circumstances require a more gentle approach, such as when you use oils topically on small children, are pregnant or nursing women, or use them on those with sensitive skin. Inversely, you may, on occasion, want to use a stronger concentration to get specific results if you have normal skin – but keep the area small and the use short-term. Combine 4 drops of essential oil with a teaspoon (5ml) of carrier oil and mix well. To scale that up, add 12 drops of essential oil to one tablespoon (15ml) of carrier oil. Or, open a new, empty 10ml roll-on bottle. Add 9 drops of your favorite essential oil and fill the rest of the bottle with a carrier oil. Replace the lid shake gently. Consider taking a shortcut by adding a few drops of essential oil to a lotion, hand sanitizer, aloe vera, body soap, shampoo, or conditioner. For household cleaning blends, you can use water instead of carrier oil, but this isn’t recommended for applying to the skin since they easily separate between uses. For children ages 2 to 10 and people with sensitive skin: 4 drops of essential oil in a tablespoon of carrier oil. For adults with normal skin: 13 drops of essential oil in a tablespoon of carrier oil. For short-term, targeted applications: 22 drops of essential oil in a tablespoon of carrier oil. Some essential oils are considered “hot.” Cinnamon, mint, clove, and others have spicy or mentholated qualities that can affect your skin. Use a lower dilution when mixing with these oils. Another thing to be aware of is that many citrus oils are phototoxic … they can cause blisters and an uncomfortable rash if used topically before exposure to sunlight. Dilute phototoxic oils especially well, and keep skin exposed to these oils out of the sun for 12-24 hours to avoid an adverse reaction. Sacred Life products are a powerful aid in your quest for a healthy and natural home. As you gain experience with these natural tools you’ll feel more comfortable knowing what concentration work best for your body.